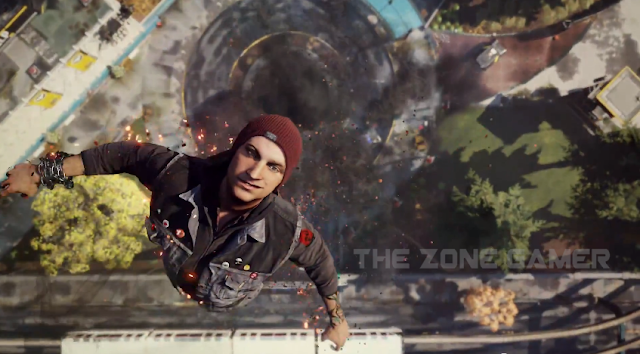 Taking the title for one of most polished and glossy looking next gen ps4 title at the Sony press conference, the new inFAMOUS second Son looks beautifully enhanced. Taking a look into some gameplay footage, the first things that might come to mind are super hero and X Men mutants. That's right, as the trailer shows of the next inFamous's protagonist's stunning mystical powers, you probably won't believe your eyes. Don't believe us, then check out the featured trailer and see for yourself. I'm getting a PS4. This sealed the deal. XBOX ONE﻿ just got put on the back burner. DELSIN ROWE AND﻿ PS4 TAKE A MASSIVE DUMP ALL OVER THE XBONER IT'S HILARIOUS LMFAO!